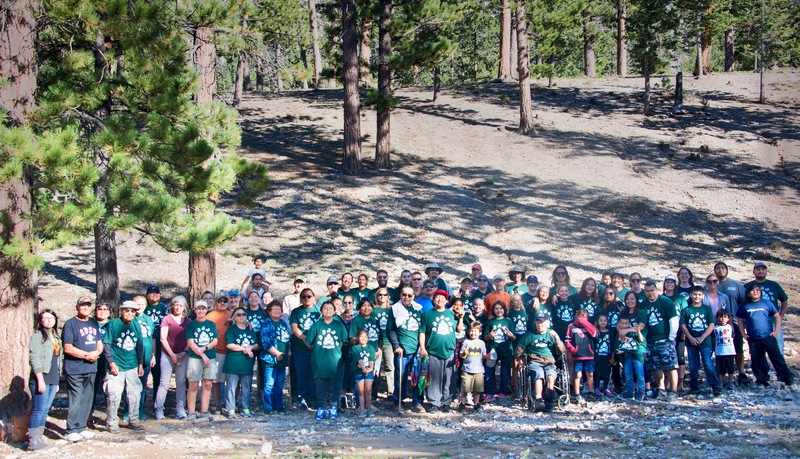 The Gathering For Our Mountains is an annual event, started in 2012, which brings together multiple generations of Nuwuvi (Southern Paiute) with the Forest Service, Fish and Wildlife Service, and community supporters for an inter-cultural exchange. Activities include harvesting pine nuts, demonstrating cultural skills, and sharing traditional stories and songs. Federal agencies and the tribes co-host the Gathering each fall in the Spring Mountains National Recreation Area (SMNRA) and the Desert National Wildlife Refuge Complex (DNWRC). The Gathering is facilitated by The Mountain Institute and Portland State University. Several generations come together each year to renew familial ties, make connections with their friends and partners and care for their sacred land. New pathways for communication are being created by reuniting Nuwuvi with their ancestral home. There have been eight Gatherings since 2012 attended by approximately 100-150 Nuwuvi and volunteers each year.